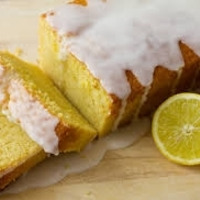 A sinfully butter-rich lemon poundcake drizzled with light, sweet, cream cheese icing. This recipe will be well known as a timeless classic. Cant believe it took me this long to try but boy am I glad I did. Mixed this up about a month ago and let it sit for a week. Hands down this is the best lemon pound cake I've tried so far and quite possibly the best lemon anything-and I've tried a lot of them. I've been rationing the 30ml I made but I think its time for a much bigger bottle. Subbed in SC Lemon for FE although I've heard that they are one and the same. Perfect recipe and a must mix! Such a great recipe. Fully saturated flavor and absolutely decadent. It's great off a shake with in your face lemon, but after a day or so it comes together even better. This is everything I look for in a lemon bakery vape. Nailed the profile perfectly. The perfect lemon riding on top a rich buttery pound cake. Excellent job. In a word, decadent. A sinfully rich delicious recipe that perfectly nails the pound cake profile. It even makes me hate myself like such a dessert would; I hate that I took so long to get around to trying it. phenomenal! Tried this with the same percentages but INW lemon cake changed to JF yellow cake, this is on par with dinner lady, a lemon tart remix. Perfectly balanced soft lemon flavour with a nice spongey cake flavour.